- FrancesCassandra: UK fashion, beauty and lifestyle blog. : My Best Festival Experience. I know it's not something that gets mentioned a lot on my blog, but music is one of my biggest loves in life. A handful of you may know that I like to do a little bit of singing and guitar playing in my spare time, and every now and again I pop a video up on YouTube (although it has been a while!). One thing I love to do is attend concerts; as content as I am with listening to MP3s on my iPod whilst on a train journey, it just doesn't compare to seeing and hearing a band's raw talent up close, whilst jumping around in a sweaty group of people. Even more than concerts, however, I love festivals. Every year, I always take a sneaky peek at Reading Festival and V Festival on the TV to see what I am missing. I wish I could say that I am a regular festival goer, with a collection of wristbands up my arm as proof, but unfortunately, mainly due to a lack of funds every Summer (after giving all my money to university! ), I can only say that I have been to one. However, I couldn't have asked for a better first festival experience. 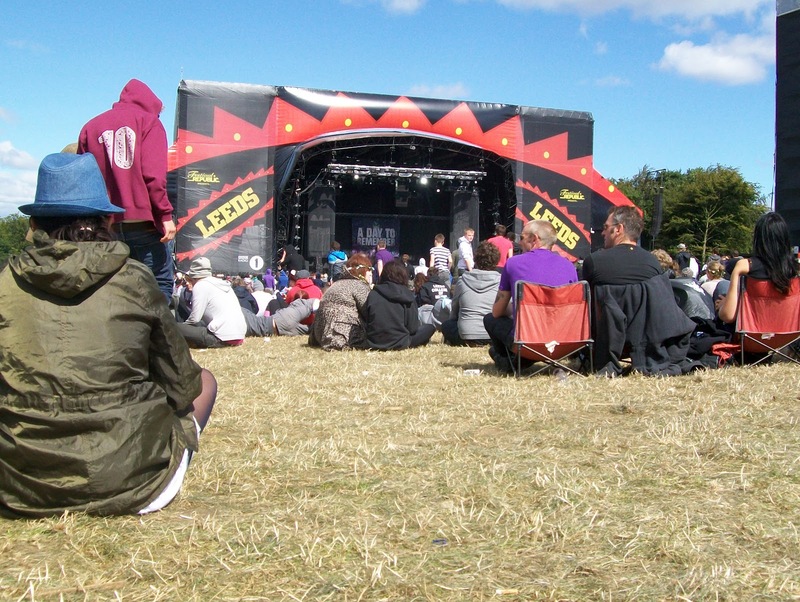 I still remember when the tickets for Leeds Festival 2010 came on sale, and I was sat with my best friend frantically clicking away on my laptop with five different ticket sites open to ensure that I got ours. So many wonderful rumours were going around about the line-up that year, so we decided that we just couldn't miss it. I'll admit we both squealed like a couple of 12-year-old fan girls when our ticket confirmation came through and the official line-up, complete with Blink 182, Guns 'N' Roses, Biffy Clyro and a number of other bands we love popped up on the screen. I would do anything to be able to experience this weekend again; it couldn't have been more perfect. To this day I have refused to cut off my wristband (ew, I know haha)! 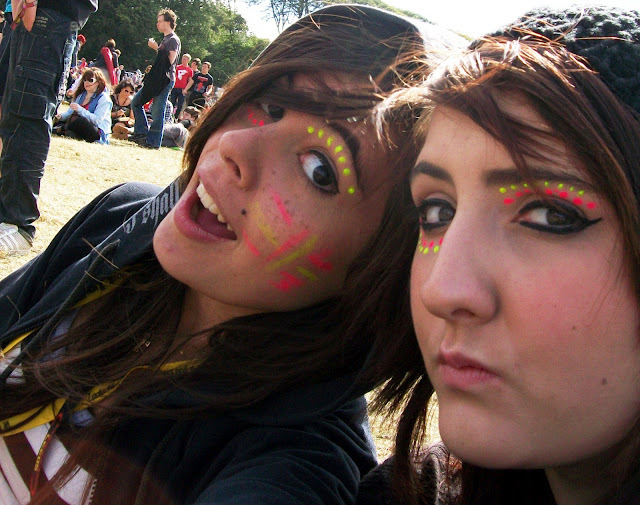 Were you at Reading/Leeds Festival 2010? What was your best festival experience? This is my entry for the Diesel Calvi On the Rocks contest. 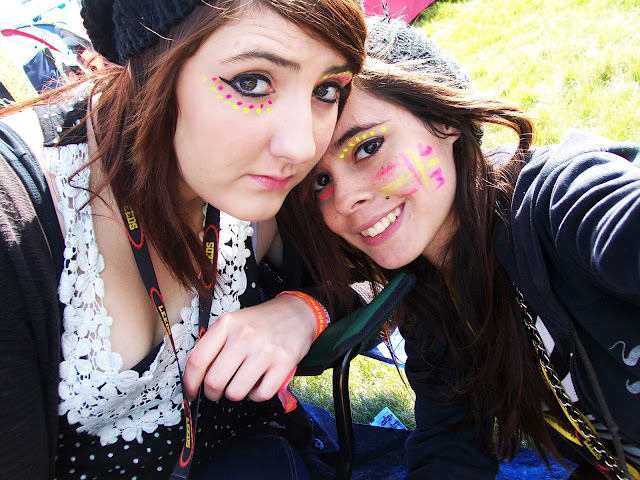 ah i went to Reading 2010, was amazing! 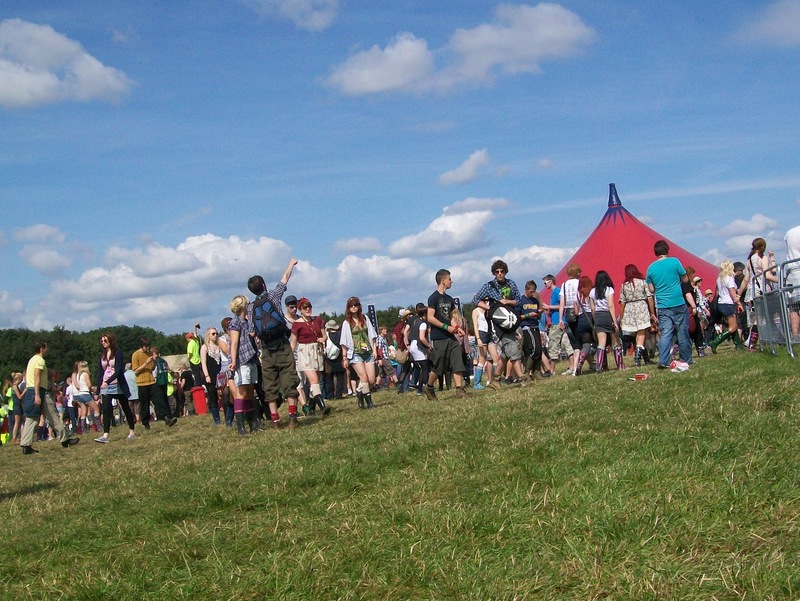 I love festivals, haven't been to one for a couple of years but have been a serial Glastonbury goer in the past. I've also been to V a couple of times, and Reading and Big Chill once....I miss them so much and have felt so sad for the last couple of years, having to watch them on TV!My pennies just wouldn't stretch to it, and I wasn't really in the country when any were on for the last couple of summers. For me, Glastonbury is, without a doubt, the best festival I've been to. It never fails to impress. Really hope I can go next year! Your photos are lovely, you look really nice - I daren't post any of my festival pictures as they are not the most flattering, to say the least! i love the second photo! Looks and sounds so much fun! In Australia we have Soundwave Festival which is a mixture of punk, rock, and metal music. I've been to two in the past 3 years and loved it. The best thing is most of the bands put on meet and greets so you can go and get some photos and something signed. Best experiences of my life. Wow it looks like you had such a brilliant time, I love how you painted your face, always loved those types of pattern!! Made me supper excited for Leeds 2012 now! !